Derek is the CEO and founder of CruaOutdoors.com With a background in product engineering he set about desiging and producing the World's first thermally, acoustically and light insulated tents. 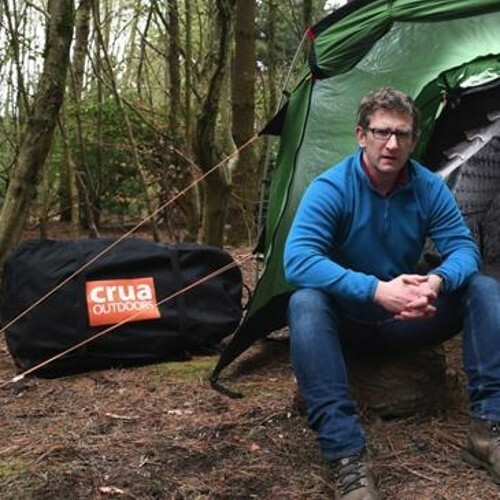 Crua's primary market is the US and has sold tents in over 50 countries. It has offices in Tralee and Saranac Lake NY in the US. Crua are a direct to consumer focused ecommerce brand and have successfully used crowdfunding to raise capital and launch products in key markets over the last 3 years, raising in excess of $1.5m to date. Crua also has an industrial arm of the business developing blast and ballistic proof shelters for the Oil and Gas industry - launched in Feb 2018. In our case, we were lucky enough realise (reasonably) early that nobody is going to hand us anything. This was ‘senior hurling’ and the learning curve was steep. It took a few meetings with Retailers, Venture Capitalists and (a-hem), Banks to know that if we were to succeed, we would have to plan and execute ourselves, under the assumption that we were ploughing a lone furrow, this led Crua towards D2C eCommerce, and more specifically to Crowdfunding.